Sample accounting clerk cover letter convincingly identifies your most relevant skills and strengths to the potential employer. Adapt this cover letter example to meet the requirements of the target job and your own background. A cover letter that clearly articulates what you can bring to the job opportunity will grab the reader's attention and get your resume read with serious attention. A persuasive introduction will quickly convince the potential employer of your suitability for the accounting clerk job opportunity. 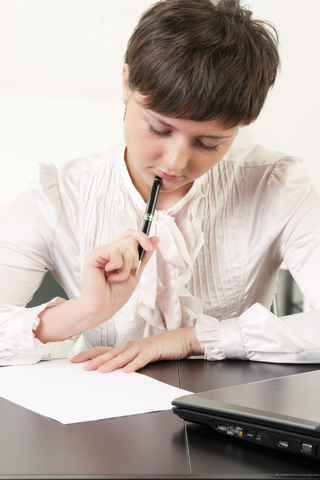 This enthusiastic and well-written cover letter sets you apart from the competition. In response to the job posting on ABC website, please consider my resume in your search for an accounting clerk. I am confident that my relevant experience in a high volume environment makes me an excellent match for this position. Please allow me to highlight my capabilities as they relate to your stated requirements. In the X years I have worked as an accounting clerk I have proved myself to be a capable, hard working and enthusiastic employee. I believe that I would be a valuable asset to your accounting department and would welcome the opportunity to meet with you for an in-depth interview. Thank you for your review and consideration. I look forward to hearing from you soon. Include this accounting clerk cover letter with your accounting clerk resume to create a job-winning application. 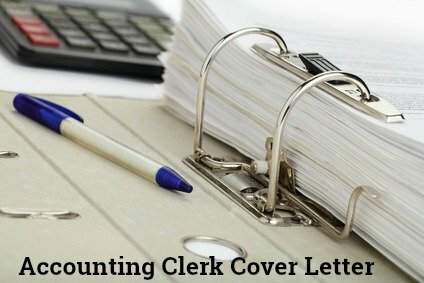 The accounting clerk job description can help you to build an informative cover letter. Highlight the accounting clerk competencies that are required in most accounting clerk jobs. Communication skills - both verbal and written skills along with computer proficiency. Willing to be a team player - accounting clerks are required to be able to work independently as well as on a team. Employers want people who work well with others and contribute to department goals. Organizational and planning skills - accounting clerks are required to multitask, prioritize and manage competing demands to meet deadlines. Problem analysis and problem-solving skills - able to identify and resolve issues. Reliability and integrity - employers look for candidates who they can depend on and who display honesty and confidentiality. Attention to detail - accuracy and thoroughness are essential in this job. Are you looking for an entry level position? This entry level accounting resume provides a good starting point.